Real Simple Magazine – The leading magazine for organizing tips. Unclutter Your Life in One Week (book) – The popular organization expert Erin Rooney Doland will show you how to clear the clutter, simplify your surroundings, and create the stress-free life you deserve—in just one week. Online Egift Certificate from ScanMyPhotos.com – The most emotional gift to organize and digitize generations of nostalgic photos. Mixbook – Easy and fun way to make completely customizable photo books, cards, and calendars online. Cocoon Grid-It CPG8BK 10.5 x 7.5-Inch Organizer – a rubberized woven elastic object retention system for gadget organization. Organizing from the Inside Out – Getting organized is a skill that anyone can learn, and there’s no better teacher than America’s organizing queen, Julie Morgenstern. National Association of Professional Organizers – Join NAPO, the premier association for professionals in the organizing and productivity industry. Shutterfly – At Shutterfly, millions of people store, enjoy and share billions of photos online. Family Tree Magazine – The leading genealogy magazine with updated research tips, resources and news. Your Family Reunion How to Plan It, Organize It, and Enjoy It (book) – By George G Morgan, this book is a guide for organizing a successful and exciting family reunion, from a casual backyard barbecue to a week-long deluxe cruise. Family Tree Memory Keeper Your Workbook for Family History, Stories and Genealogy (book) – By Allison Dolan, From the editors of Family Tree Magazine, this workbook makes it easy to record and organize your family history. Anestry.com – What will you discover in your family tree? Click here to help your loved ones discover their stories in the world’s largest online family history resource, home to billions of historical records, millions of family trees and lots of helpful, timesaving tools with this Ancestry.com Gift Membership. 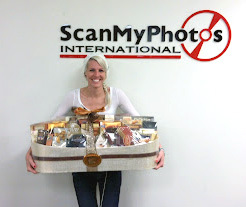 This entry was posted in Holidays, Photo Organization, Photography Tips and tagged Holiday gift guide, organizing gifts, professional organizer, tech gift, tech gifts by ScanMyPhotos.com. Bookmark the permalink.